Even though I have only been working for York Cares for a short period of time, I feel very invested in Project Dare and am keen to maintain the excellent reputation and make this one a success! 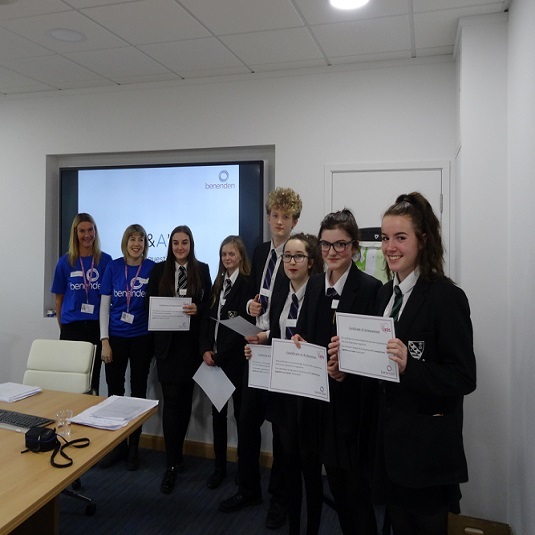 Project Dare is an initiative run by York Cares that is designed to help secondary school pupils to think about their options for the future; helping them to develop their skills and challenge them to work in teams towards solving a real life problem with a local employer. This is spread over three sessions taking place at the university of York and the last session at the employers office. Pupils may have never been to a university or a workplace before and so this opportunity will hopefully broaden their horizons and get them thinking about life post-school. Activities range from general careers and skills workshops that focus on transferable skills to specific insights into the workplace. Students will have the chance to work as a team to solve a problem that is given to them by employers and take part in a careers ‘speed dating’ workshop with the opportunity to speak to people from a range of backgrounds in different positions. Pupils will leave Project Dare with new found skills in team working, leadership and public speaking. They will have hopefully made some new friends from different schools and will have been given an excellent insight into the workplace and the vast range of careers that are available to them. I am very excited to help run the next Project Dare sessions as the experiences that the young people are going to get are very unique and will hopefully inspire lots of them to think about careers that they may not have come into contact with before. Employees from Arup will deliver three sessions themed around rail engineering. This experience will be so valuable to the students’ development and I truly believe that it can have a lasting impact on them.